“This race has 22 candidates”, a fun play on words, for the first and only open forum with the 22 candidates for the Ward 7 Hamilton City Council seat. Election day less than three weeks away (March 21), and 17 candidates came out to the Ukrainian Hall on Upper Wentworth to give their four minute pitch to an audience of over 150 people. Looking at the room, I’d estimate about a third of the room were undecided voters. The event was organized by the Hamilton Community Legal Clinic, Hamilton Roundtable for Poverty Reduction, Social Planning Research Council. Here’s The Public Record’s summary of the candidate pitches in order of their short four minute presentations. Being first to speak is the shortest straw in this kind of format. Heroux was a bit nervous off the start, but more than compensated with prepared speaking notes that included statistics to support the points in her pitch. She spoke about the need to address homelessness but not in isolation of other challenges. She continued by stating we need to support those on Ontario Works and Ontario Disability Support Program to find better housing by addressing the long affordable housing wait list. She is concerned about food bank demand across the City as a sign of the challenges many residents are facing with the raise of precarious employment. She cited the growth of the pay day loan industry – she called it predatory lending – as symptom of the challenges. Hamilton’s horrible pedestrian safety record and high injury rate for cyclists were both problems she says she’ll address as a City Councillor. We need to increase commercial activity to address high residential property taxes, she told the crowd. There was a mention of the Stelco pensioners in her pitch. She was particularly strong in the final minute of her pitch – her nervousness having subsided. “I’m much younger than other candidates here,” she said never the each of her time. While some may say that means she is inexperienced, she says “youth have been the catalysis for change” in society. Vecchioni opened by highlighting that he lives in Ward 7 “since 1999”. He’s passionate about democratic involvement and legitimacy saying voter turnout is a major problem, saying due to low voter turnout, City Councillors are elected by a “majority of a minority of voters”. He spoke of the need to address the City’s mounting debt which is causing pressure on property taxes. 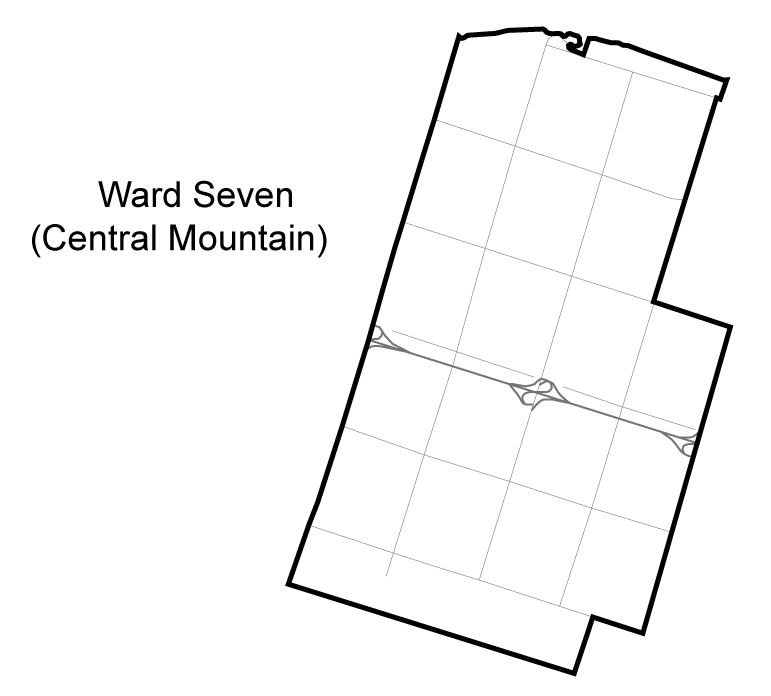 If elected, he will use Ward 7 area rating funds to address the social housing shortfall. Pacey opened by highlighting she is a resident of Ward 7 and then delivering an autobiographical profile of herself to highlight her qualifications. She is a civil servant, working for the City of Hamilton pre-amalgamation until 2001 when she went to work at the City of Brantford on “downtown initiatives”. She says she earned a reputation as a “go-to person in the City”. “If you needed to get something done, you are the person to speak to,” people who tell her when directed to seek her assistance on projects. She wants to see term limits imposed on City Council of two terms and a requirement that Councillors be a resident of their wards (at present, Ward 2 Councillor Jason Farr and Ward 14 Councillor Robert Pasuta do not live in the wards they represent). She says she’ll work to see improvements to HSR service on the Mountain. Nicholl quickly started talking about the issues he wishes to address. He wants to “improve social services and programs for families”, improve HSR and DARTS – especially for seniors, and address poverty. He told the story of a woman he knows in the Ward who is living in a sub-standard CityHousing unit with leaky roof that allows for water to flow behind her walls and how the City does fix it. Nicholl says its very frustrating for the woman to have puddles of water in her basement after rainstorms and that CityHousing isn’t addressing it. There is likely mould in the walls and Nicholl believes this is why the woman is often sick. It is unacceptable, he says. Safe roads and safe communities were another theme. Nicholl says Ward 7 needs more policing, and noting the increase in graffiti. He came back to poverty in his closing minutes, telling the story of a woman who was turned away from an emergency shelter with a infant. He says the City must address poverty and ensure there are safe places for people to sleep, “even if we have to open City Hall” as shelter space at night. “This is unacceptable,” he said of the housing crisis. Charters started out as a long-time politician by thanking the other candidates for ‘their passion and commitment to getting involved’ saying the City will be well served by all candidates being involved in public service. He then spoke about being a member of City Council in the 1990s, highlighting that that three members of the 1990s City Council are presently on Council (Collins, Eisenberger, Jackson) and his ability to work with them. “Times have changed, but the issues have not”, Charters told the crowd. Looking around the room, many were perplexed by him citing being on Council in the 1990s and saying the issues are still the same 15 years later. “Ward 7 has been not been well represented, but that’s no fault of the Councillors,” Charters said. “The Ward Councillor is saddled with a larger ward,” then citing the Ward Boundary Review said “That’s going to change”. He highlighted his 30 years working in the ward and then got to specific issues he wishes to address. Upper Sherman and Wellington need to be upgraded to urban roads from their present rural-based two lanes with no sidewalks, Charters told the crowd. He says he’ll work hard to manage city government to keep tax increases low, saying he was successful as chair of the finance committee in the 1990s at keeping taxes under control. He says his experience will benefit the City, with his real estate experience, he helped to negotiate the deal to get the Pier 8 lands transferred from the federal government to the City. He says City Council needs to think ahead, and to lobby the province and federal governments more and effectively. Rabb started off like most of the candidates before him, telling the crowd autobiographical info. He cited his experience working for Ward 8 Councillor Terry Whitehead saying he knows how to “work closely with staff, getting things done”, then his business background. He quickly wrapped this and delivered his pitch – which earned the best applause of the night and clearly impressed both the crowd and the journalist writing this. Instead of listing issues, he went into specifics on an issue and stated a plan to act on the file if elected. He spoke about his desire to ensure people can succeed in housing, citing supporting housing projects like the Perkins Centre at Main and Kenilworth. He says all areas of the city should have supporting housing, “including Ancaster”. “If you know the rules for zoning in Ancaster, that joke’s funny,” Rabb said to the enjoyment of many in the audience. He wants to implement a development charge “holiday” for the construction of new rental units citywide to address the low vacancy rate problems in the City. Rabb says the holiday will be time limited to get developers building rental apartments before DCs are reinstated. He closed as the first candidate to toss to his website “ElectHoward.ca”. The room applauded as Rabb left the stage. McMullen earned laughs from the audience before reaching the microphone, joking as she walked on stage “I’ve been getting up a lot of stairs lately”. She quickly launched into platform issues. “It is important to have safe healthy sustainable complete streets,” she declared citing challenges to transportation on the mountain. She spoke about meeting the needs of many road users specifically citing “HSR buses in mixed traffic”, cyclists who commute to work at Maple Leaf Foods, and motorists dealing with the potholes on Rymal. She is proposing a transit fare freeze until the HSR is reviewed and a plan put in place for transit changes. No right turns at red lights, such as at Upper Gage and Mohawk, should be implemented “where it makes sense”. She spoke of the tragic death of a pedestrian at Upper Gage and Mohawk which lead the City to finally make safety improvements at the intersection. She wants to see more focus on the poverty strategy, and applauds Council’s work on the payday loans file. She closed by noting her involvement in the community, including being on the board of numerous community agencies. Danko opened by thanking the organizers of the forum for their work bringing the candidates together and the opportunity to speak to voters. “When you are out there campaigning, you really see how people are struggling with poverty,” Danko said. He wants to see the City do more to help people and to meet the City’s potential. He says 20 years ago as a student at McMaster Engineering, he had to explain to out-of-town students that Hamilton is on the cusp of greatness. He emphasized he is “running as an independent” and has never been a member of a political party. “I am asking for your vote,” he said “because 20 years from now, I don’t want my kids describing Hamilton as on the cusp of greatness” saying it is time for Hamilton to meet its potential. Bradshaw introduced himself as a small business owner on Concession Street, emphasizing his connection to the ward. He says the ward needs more policing and the return of community policing centres. He says the elimination of the Concession Street community policing centre is having a negative impact on Concession Street with an increase in vandalism and graffiti. He spoke of his many community involvements, and says he looks forward to further serving the community. Philip Bradshaw for Ward 7 on Facebook. Starr started with a different opening than we had heard thus far in the night. He told the audience how he first because involved in civic life 24 years ago during “one of the most contentious issues our City has experienced”, the Red Hill Valley Parkway. He says today transit remains a major issue in the City with both the HSR and problems on the Linc and RHVP as examples. He wants to see electoral reform. He also spoke to having safe and accessible infrastructure. He wants to see improvements to HSR service on the Mountain and told the audience about the challenges his nieces have getting to McMaster from the Mountain. It takes a long time and when they finally get downtown, they have to wait for an available B-Line Express bus because they are all full. He wants to see sidewalks installed in the newer parts of the Ward where they were not placed on both sides and on the stretches of Upper Sherman and Wellington which are still rural-style roads. The number of potholes, and the quality of repair jobs, are unacceptable Murphy told the crowd. He says he is from a “strong union family” with his mother having worked at Dominion grocery and father at International Harvester. Murphy wants to see more action to reduce poverty, saying precarious employment is a major issue as many people – himself included – have to work multiple jobs to make ends meet. Opening by saying she was raised and lived in Ward 7 where she also “cares for my elderly parents”. Qureshi (who prefers to go by the more easily pronounced Uzma) says she wants to address the problems of HSR service on the Mountain. She spoke on poverty issues for most of her pitch. On affordable housing, she wants to see the City require “inclusionary family friendly neighbourhoods”, applauded the City Councils actions to deal with predatory lending, and wants to see more done to help those in poverty. She pivoted to highlighting the endorsements she’s received, pointing to former Ward 7 Councillor (now MP) Scott Duvall’s, she proudly told the audience of Duvall’s endorsement. She says she’s learned from Duvall “No issue is too small for the constituents of the ward”. He then spoke of his military service. “You can take the man of the military, but you can’t take the military out of the man – I’m driven to get results”. If elected, he plans to take care of seniors, DARTS, and look after the Sackville Senior’s Centre. He says these are issues dear to his mother who will soon celebrate her 107th birthday. He spoke about poverty, saying he’s been around the world and seen worse poverty, but that doesn’t mean he won’t address it here in Hamilton. “The City is a business, it must be run like a business”, he told the audience that “we need to address taxes, they are too high”. How? He didn’t say, but time is tight in the format. He closed speaking about his experiences on a co-op housing board. The worst delivery of the night without a doubt went to Shaun Burt. To call it a train wreck would be generous. Burt is an experienced candidate, there was no excuse for his complete lack of preparation and some of the implausible, unexplained, and contradictory statements during his four minutes. Burt came on stage, took the microphone off its stand, and started by saying he ‘prefers to speak from the heart and didn’t have prepared notes’. The moderator intervened to have him place the microphone back onto the stand. All candidates were instructed at the beginning of the forum that they were not allowed to move the microphone. Burt stood behind the podium, without any speaking notes, and declared he was born, raised and lives in Ward 7. That was the high point of his four minutes. He paused, then asked all the candidates in the room to stand up. They did so slowly, the entire room wondering what this guy on stage – who was clearly winging it and unprepared – was doing. He then asked everyone to applaud the candidates. Now, when the candidates sat down, he started talking about how he is always positive, he prefers to be positive, and to be positive in his politics. It wasn’t really coherent, just a bunch of words strung between repeated use of the word positive. Then he changed tone declaring “I’m up here as an independent” and not affiliated with any political party. Burt was Liberal Party of Canada candidate in the fall 2015 federal election, he is using red in his campaign materials, and a font the same as or very similar to the Liberal Party of Canada font. The independent line was quickly followed by the weirdest lines of the night. The room was stunned, especially the local Liberal party leaders. Did this guy just claim that the Prime Minister of Canada had the time to talk to a candidate about municipal ward issues during a municipal by-election? Burt, looking at the room, seeing he wasn’t getting a positive reaction, defensively said of his assets in place comment “It’s not a haw haw, it’s a fact”. He was then at the 30-second warning, declared, wow, its been already three and a half minutes, and then called on people to vote for him. With that, he walked off stage to polite applause as the seasoned political observers in the room tried to make sense of what they just saw. I’ve never seen such a poor showing by an experienced candidate and I attended my first political debate 20 years ago. Zuriel opened by thanking organizers and launched into his autobiography. He says he’s engaged in the Ward as a “community activist”, he is an “economist by training”, and was on the Deans Honour List at McMaster. He is the only candidate promising if elected, he will lower property taxes. He says poverty must be addressed and that he’ll focus on economic sustainability to ensure the City can address poverty. He plans to focus on economic growth as a City Councillors, and will build in expert advice as needed to improve the City. Zuriel closed with the best received humour one-liner of the evening. Asking for people’s votes, he said “you’ll find my name at the bottom of the ballot”. “I’m a long-time journalist with CHCH News, I’ve covered many people and many stories over the last 30 years” is how Skelly opened her four minutes, noting her most recent beat was City Hall. She then turned to issues. Skelly criticized Ward 4 Councillor Sam Merulla. Merulla is an NDPer to Skelly’s Progressive Conservative. Skelly referenced her experience as a two-time Progressive Conservative candidate, saying the City Council needs to lobby and pressure the province to address affordable housing with a strong plan to make Queen’s Park pay attention. On Living Wage, Skelly praised Tom Cooper and the Poverty Roundable for moving the community to where it is “ready for honest conversation to start implementing a living wage.” Skelly says five years ago, the community wasn’t ready for the conversation. The final candidate to be drawn and speak was Doug Farraway. One of the advantages of speaking last is that you can adjust to the mood of the audience and Farraway took the opportunity to open by declaring his support for living wage and saying it’s long past time to make it happen. He gave a shoutout to Damin Starr for his business leadership in implementing living wage. Farraway then gave his autobiography, and in noting his work with Neighbour to Neighbourhood thanked Tom Cooper for his work and assistance when Farraway started at N2N. “Hamilton is the comeback city of Canada”, Farraway declared pointing to recent national media stories. The Downtown is renewing, but the City must be mindful of gentrification and what this means for vulnerable residents. He complimented Ward 3 Councillor Matthew Green by name for leading on the pay day loans file. Farraway said he was at the public meeting last week on the housing development plans for West Harbour – noting Damin Starr was present as well – and declared the City must have inclusionary housing to succeed. There are 10,000 people living in poverty in Ward 7, Farraway says this is unacceptable. He is concerned about the growth in precarious work.